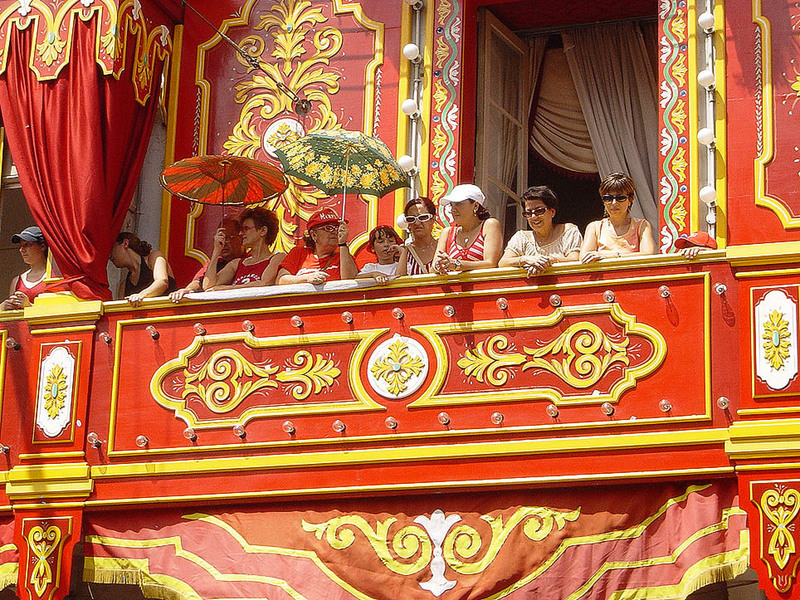 One of the dominant features of the Maltese townscape is the closed wooden balcony. 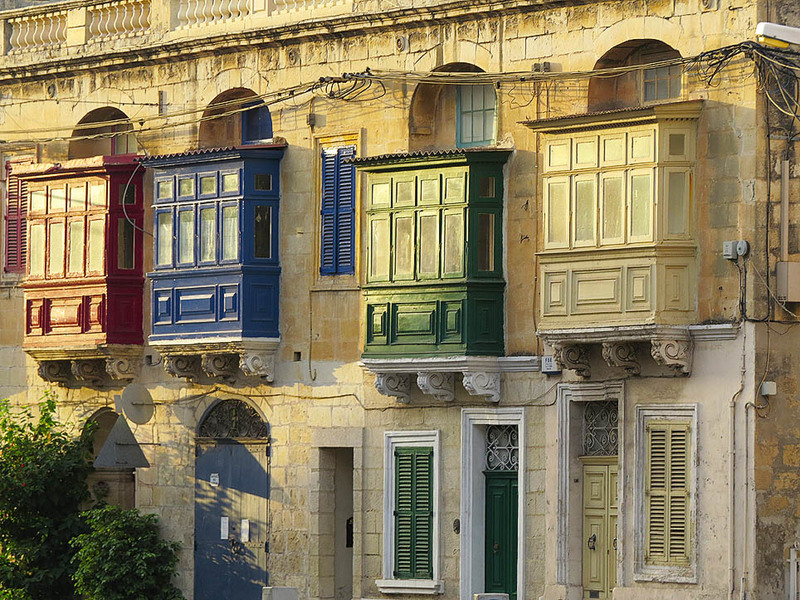 They are practically everywhere – abundant in Valletta and Floriana especially and in all town and village cores – and come in a variety of shapes, sizes and colours. Open stone balconies had been a feature of Malta since medieval times – with some of the earliest examples still extant in some places, notably Gharb in Gozo. The closed balconies’ origins are somewhat obscure, with some speculating a Spanish derivation while others point to a more likely North African influence. Be that as it may they are now very much a Maltese fixture. Among the earliest examples of enclosed balconies are the two huge ones which grace the front corners of the Magisterial (now President’s) Palace in Valletta, thought to have been covered around 1680. These are truly impressive examples with elaborately carved stone supports. 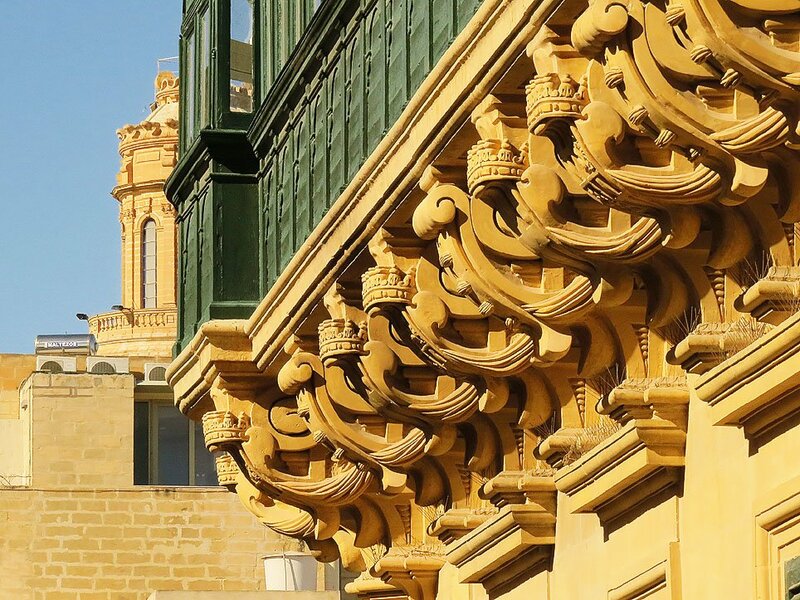 It is likely that the appetite for closed balconies stemmed from these early examples and a few started to appear in Valletta – naturally by well to do people eager to emulate the Knights’ tastes. But the balcony never really took off during the Knights’ era mainly due to the scarcity of wood and therefore the prohibitive cost to build one. But they flourished in the British era. No doubt they were initially a symbol of status and the more elaborate and large the balcony, the more that status was underlined. But popular fashion eventually rode over the original prestige associated with the balconies and they became an almost de rigueur feature in most houses. To this day the balconies of Malta remain the pride and joy and the natural centrepiece of most home facades – this is witnessed by the owners’ use of the balcony to display religious banners or fairy lights during feasts or Yuletide. 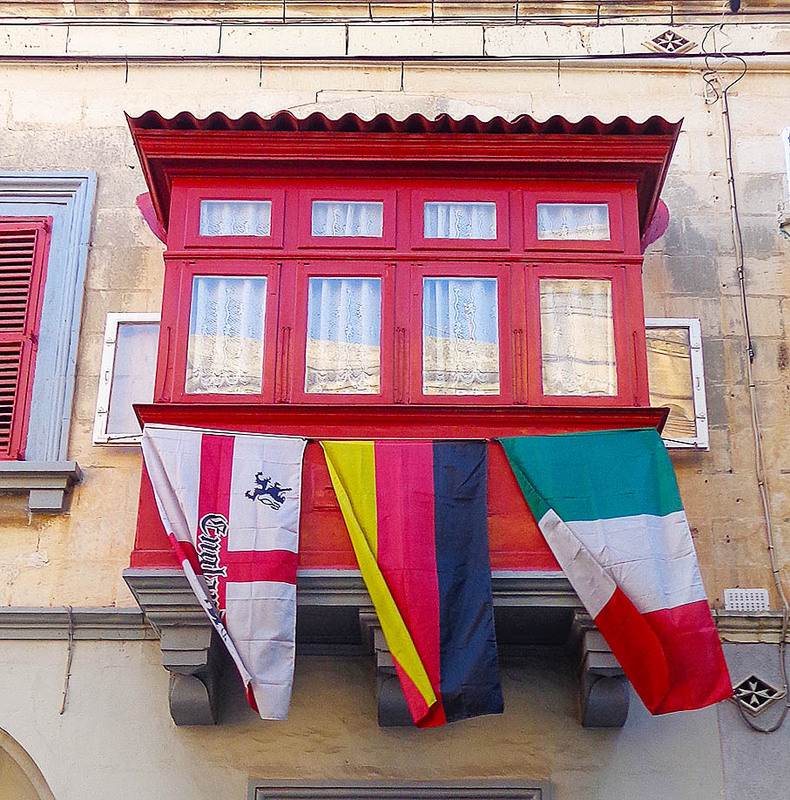 During popular tournaments like the soccer World Cup it is normal to see balconies adorned with the flag of the owner’s favourite team – whether that’s Italy, England, Germany or Brazil! A more mundane (though admittedly practical!) use of the balcony is its use to hang out the washing to dry. This can still be seen especially in Valletta and Floriana where balconies sometimes form part of large tenements and where the individual owners likely do not have access to the sunnier roof for the purpose. The introduction of cheap aluminium in the seventies and eighties was an unfortunate inducement for some owners to convert their aging, possibly rotting, wooden balconies into maintenance-free aluminium boxes, certainly not very pretty but economical to the hard pressed owners. The Planning Authority has fortunately countered this with grants which are given for balconies’ restoration and this has certainly gone a long way to keep the iconic Maltese balcony a permanent fixture of the urban environment. In 2007 the balconies featured on a set of five stamps issued by Maltapost, illustrating the development of this unique structure.